1.Download application form: open the link given above, find the link to download application form, fill it up and and send it to Piggly Wiggly’s Union Avenue office or email it to: kheard@shopthepig.com. 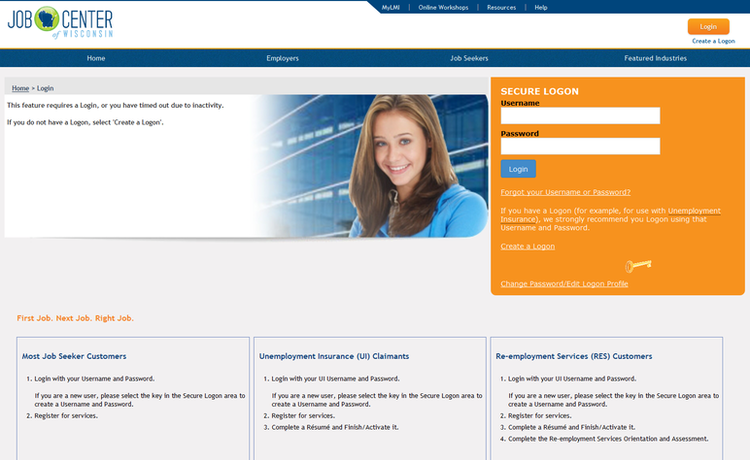 You will see the Job Center of Wisconsin’s site like this. 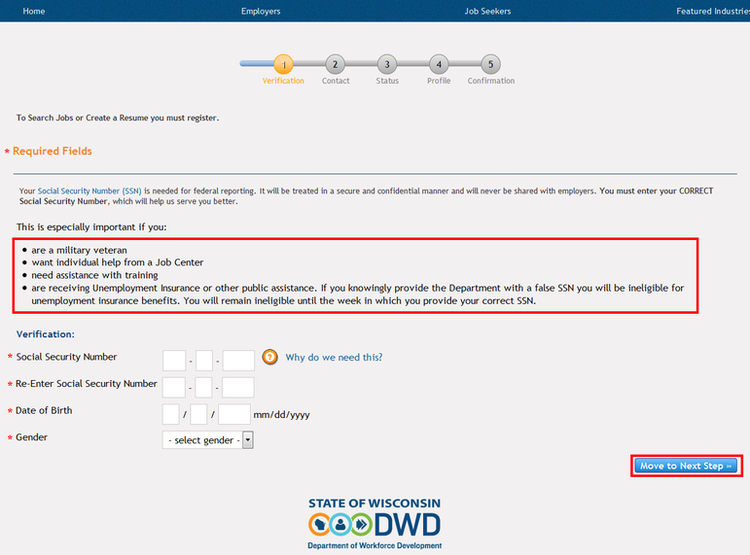 You need to create an account on Job Center of Wisconsin to continue your online application. Please consent the following terms and agreements. Please click continue to complete your registration on the next page. All the current job openings are listed here. Pick a position that you wish to consider. Click to continue. There’s a SECURE LOGON page before next step. Retype the user name and password to go on. Finish the following verification, contact, personal status and information part, and with a confirmation, your application of Piggly Wiggly on Job Center of Wisconsin will be successfully accomplished. 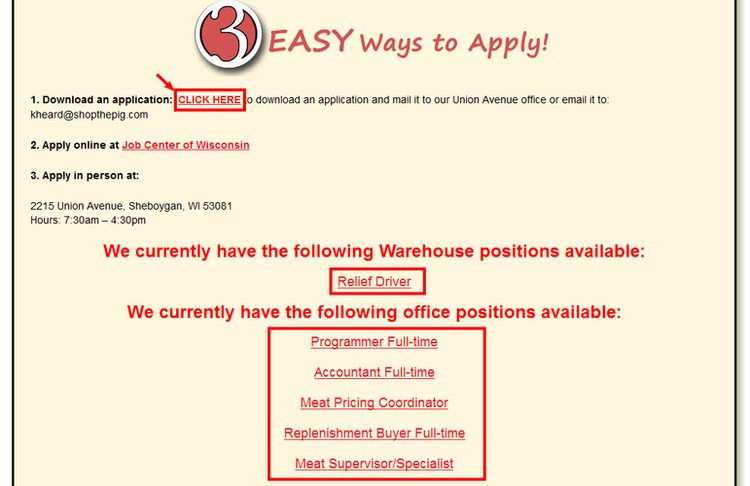 Click pigglywiggly.com/careers to apply for Piggly Wiggly jobs online.